I think that many of us find this to be true. When you try to hard to write something wonderful, it doesn’t read true. But when you are relaxed and just start writing, you often produce something wonderful and authentic. You are writing from your heart. So I hereby announce the setting up of the No 1 Laid Back Lazy Literary Ladies Society and we are open to new members. Thanks to Brigid O Connor over at Sort of Witty for her help in developing this idea. I hereby bestow on her vice chairwomanship of this august and worthwhile organisation. So – can we sign you up? Hi Barbara, what an inspiration Alex is, I love those books. I totally agree about relaxing and just letting it flow. Most of the stuff I write I either have dreamt the night before or I keep a diary and scribble in the car at the school gate when something pops into my head. As soon as I put myself under pressure, I write rubbish and it all seems very contrived. Thanks for encouraging me to keep up my undisciplined approach to writing, your library sounds great by the way. Hiya Brigid. It was amazing to sit there listening to one of todays most successful authors who was like a funny old wise buddha. And I believed him. I think he said he writes 1,000 words an hour for 3 hours each morning. And once he gets into the zone it just writes itself and he doesnt do too much editing! And I so agree with you, when I really try to write I write crap. The good stuff always comes in one big flow and just seems to work. And you know as soon as you read it that it is right! So we will call ourselves the lazy, laid back literary ladies!! Lets see who else might join the club! That is a club I definitely want to join, Barbara. Love it, was funny,when you were talking about your typing on radio, I was thinking of his fabulous detective agency. Night, night going to bed soon to 'write' some more stuff. Welcome Beth – I hereby now confirm ur membership of the No 1 Laid Back Lazy Literary Ladies Society. Now relax and write! 'Trying to write' – turns out to be a waste of time with me, it sounds wooden and just not right!- but like this wise man says, if you can just get in the flow and write, it almost writes itself. It is like most things, if you try too hard, it stifles the flow. – I could be quite happily dancing away on the dance floor, when I thought about what I was doing! – All of a sudden I had two left feet and couldn't dance for toffee! I'm in! oh finally a club I can feel good about joining! Writing is so often a lonely business, there is strength in numbers right? Right! Hmm… I might have to fly over the pond for a membership meeting. Wouldn't that be fun! Yes I definitely am in. I agree with this sentiment completely, was thinking about posting on a similar topic Keys to the subconscious. We block ourselves through fear, pressure etc. When we find a key, the writing flows and its beautiful. Where's my comment?! I was no. 3 or 4 yesterday, now I'm gone…. Anyway, count me in. 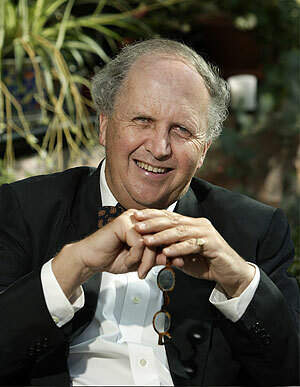 I can totally relate to what Alexander McCall Smith says about writing for 3 hours a day. I sat down for two good hours earlier and wrote over 2,000 words; now I feel that I can relax and enjoy my evening without every moment that I'm not at the computer being a guilty moment. From now on, I'm aiming for three hours at the computer daily, Monday to Friday. If I get there at the weekends too, well and good, but I'm not beating myself up over it. I thought I had commented also. But hey that's ok, I finally got my computer back tonight, so I am back in business! No more Ipod comments from me. I want to in the club! Can I, can I please! Loved the message in this post. I love it when the writing flows. It feels so cathartic. Hi! I followed this link from a comment Ann made on my blog! What a great post! Loved this author's take on things. I found it just what I needed to hear this morning. Chill. Just write. Relax. Get a massage– oh wait, he didn't say that, but somehow I felt like he did. Yes I want to be part of your awesome club, but I'm not Irish. Although I wish I were. Especially with the accent. Count me in, although I am VERY laid back at the minute! I have no daily word count target, I'm just aiming to write AT ALL a little every day after a very dry spell indeed!